Essential oils offer scientifically proven remedies for a number of home, beauty and health issues. You probably really want to take advantage of them. If you are just starting out with essential oils, try to pick up just a few different types in the beginning and then build up your collection as you get used to them on a regular basis. Lemon essential oil: It is typically used to ease anxiety, enhance mood, prevent weight-gain, benefit Alzheimer’s disease, stimulate immune system, fight fatigue and alleviate pain. It can be applied on skin only after diluting its one or two drops with a carrier oil, such as jojoba, sweet almond or avocado or it may be added to baths. It can also be inhaled after sprinkling a drop onto a cloth or tissue. Never apply it directly to the skin or use in large amounts as it can be toxic. Ginger essential oil: It is the most potent form of ginger because it contains the highest level of gingerol. It can be taken internally to treat health conditions or rubbed topically with a carrier oil on an area of pain. It is also known as the oil of empowerment as when used as aroma therapy, it brings on feelings of courageousness and self-assurance. Ginger essential oil is used to treat nausea, infections, anxiety, upset stomach, menstrual disorders, inflammation and respiratory conditions. It supports digestion and strengthens heart. Being rich in antioxidants, it can fight free radical damage and suppress the oxidation of cancer cells. Because of its warming and stimulating properties, it is a natural remedy to cure impotency. It also treats alcoholic fatty liver disease. Dilute it with a carrier oil of your choice to use it in the safest way. Peppermint essential oil: This is one of the most versatile oils that can be used aromatically, topically and internally to combat a number of health issues. It can relieve muscle or joint pain, unclog sinus, benefit cold, cough, flu, asthma, bronchitis and other respiratory disorders, increase energy levels, boost exercise schedule, freshen breath and support oral health, promote hair growth and reduce dandruff, relieve itchiness, reduce nausea, improve skin health, alleviate frequent headaches and improve IBS (irritable bowel syndrome). Add about five drops of peppermint essential oil to an essential oil diffuser for an energising scent. You can also cook in peppermint essential oil to get health benefits and add great minty punch to the dishes. You can consume adding a drop or two in your water or smoothies. Dilute it with almond oil to make an effective massage oil. Sweet orange oil: It helps soothe tensed muscles, anxiety, anger, depression and digestive problems. This oil eliminates toxins from the body and promotes a feeling of happiness and warmth. It has anti-inflammatory, antiseptic, antidepressant, antimicrobial and antioxidant properties. As a tonic, sweet orange oil can help curb inflammation in the body by reducing pain. This oil may offer great potential for prevention of cancer. It is commonly used as a flavouring agent to beverages, chocolates, biscuits, confectionaries and baked goods. It is also utilised as a concentrate for room fresheners, deodorants, soups, body lotions and creams. This essential oil is also good for nourishing irritated and acne prone skin when mixed with a carrier oil and used as a cream. A few drops of this oil can be added to a warm bath. Be careful to always use it with a carrier oil, as it can be irritating to the skin as well as phototoxic, if you use it directly without diluting. If you use it topically, be sure to stay out of the sun for at least 12 hours. Clove essential oil: Being a proven anti-inflammatory, pain reducer and antimicrobial, clove oil helps to keep countless diseases at bay and thus it is a wise choice to boost immune system. It helps in getting rid of acne when applied along with honey (two drops of clove oil and two teaspoons of honey). One of the most powerful uses of clove oil is fighting candida. It is also a well-known remedy for tooth ache. Being high in antioxidant content, it helps reverse the damage caused by free radicals including cell death and cancer, slow aging, degeneration and protect the body against bad bacteria and viruses. It aids digestion and prevents ulcer formation. It may help lower blood pressure and boost heart health. Its powerful and anti-inflammatory properties help in liver protection. Due to its powerful strength, clove oil should be mixed with a carrier oil like coconut or other gentle oils for most topical applications and if consuming internally, use it only for short periods up to two weeks. Lavender oil: Lavender oil is an important component of aromatherapy. It can help ease muscle and joint pains, backaches and sprains. Lavender oil can help treating skin problems like acne, wrinkles and eczema. It boosts hair growth and helps kill lice, lice eggs and nits. The oil helps improve digestion, relieve respiratory disorders, improve blood circulation, elevate mood and treat insomnia. Lavender oil works wonders to relieve pain and redness on minor burns and stop bleeding from minor cuts. It works as a great flavour booster to any recipe, such as tea, brownies, bars, cookies, desserts, chocolates and salad dressings. It can uplift your mood. Do not take this oil internally and do not apply undiluted lavender oil when used externally. Cinnamon oil: The ever versatile cinnamon oil has therapeutic properties. It boosts brain function, improves blood circulation, reduce the stiffness of muscles and joints, helps purge cancerous cells and is an ideal remedy for skin diseases. This oil helps alleviate symptoms of cold, influenza, sore throat and congestion. It contains a good amount of calcium and fiber which help protect you against heart diseases. It can help control diabetes. Cinnamon essential oil features in mouth fresheners and helps promote tooth health and reduce bad breath. It helps treat indigestion and other stomach problems. Mix two to three drops of cinnamon oil to two teaspoons of carrier oil of your choice and let it dilute. Massage the area of problem with it. But test it before applying on any sensitive area. It can be added to baths. This oil can also be inhaled after sprinkling a few drops of oil onto a cloth or tissue. It should not be taken internally without the supervision of a health professional. Internal use can be toxic. Otherwise it can cause burns and adverse effects if it is not properly diluted or directly applied to the skin. Essential oils can be used in different ways. Their use depends on the purpose you choose -do you want it to help elevate your mood or need it to treat a burn? A good place to start is to get a book about therapeutic aroma therapy. Be sure to pay attention to be cautious for each essential oil and application method. It is important to dilute the oils properly, consider your individual reactions and watch closely for adverse effects. · Always buy your essential oils from a reputed store to get the highest quality and thus the highest level of benefits. Poor quality essential oils are diluted with cheaper, low-grade oils and synthetic fragrances that are harmful to you. · There is a vast difference between perfume oils and essential oils. Perfume oils do not offer therapeutic benefits as offered by essential oils. 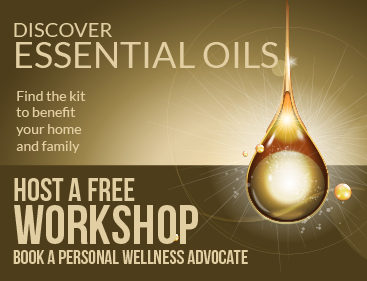 · Essential oils come in proper packaging, typically in a dark glass like amber or cobalt blue bottle. Keep them in a cool, dry and dark place. Next articleMaybelline x Puma Available Now! Family swaps flu shots for essential oils. Is it safe?